Rarely has a video parody of two different properties meshed as well as this animated mash-up of Mad Max and Adventure Time. Entitled "Madventure Time," the one-minute video by Egor Zhgun replaces Tom Hardy and Charlize Theron with Jake and Princess Bubblegum. The Ice King as Immortan Joe is inspired. 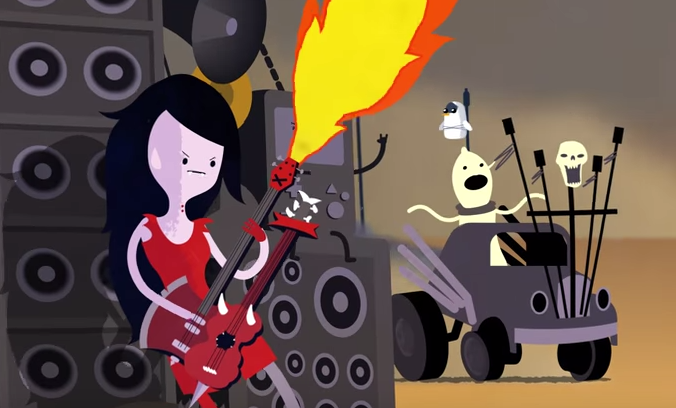 We're starting to think that maybe Fury Road was based on Adventure Time. See it now!